To be showcased at the 2015 Detroit Auto Show. 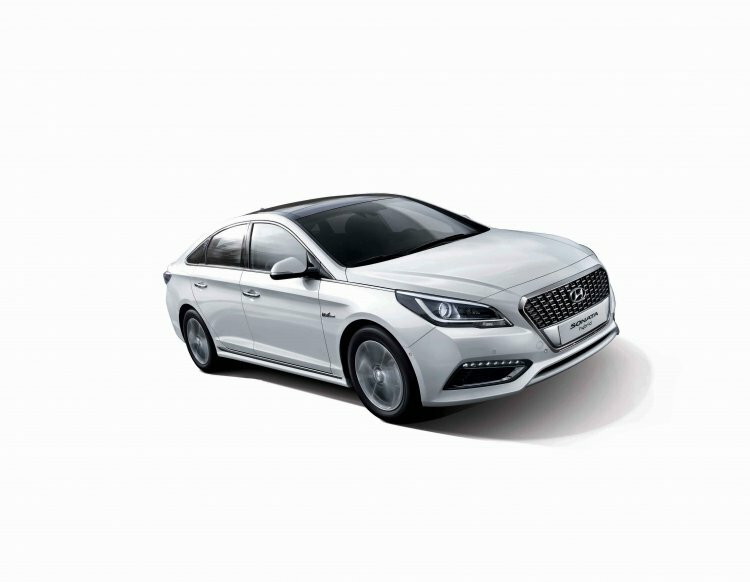 Hyundai has unveiled the new Sonata Hybrid in its home market, Korea. Powered by a petrol engine and an electric motor, the car boasts a claimed fuel efficiency of 5.5l/100, which equals to an overall consumption of 18.2 km/l. The new Hyundai Sonata Hybrid achieves 18.2 km/l. In comparison to the regular Sonata, the Hybrid version gets a new look radiator grille, choice between 16-inch and 17-inch alloys, an underbody cover and a rear diffuser, all of which help reduce the fuel consumption. It now measures 4,855 mm in length, 1,865 mm in width, and 1,475 mm in height, marking a slight increase in size over the previous generation model. Powering the car is a combination of a conventional petrol engine and an electric motor. The engine is a 2-litre four cylinder unit that makes 156 bhp and 189 Nm of maximum torque, while the electic motor adds 52 bhp and 205 Nm of torque. The powertrain comes mated to a new 6-speed automatic gearbox. Also, to make sure that the vehicle doesn't lose out on practicality, Hyundai has placed a larger, 1.62 kWh battery pack under the boot. With an overall increase in the dimensions, in comparison to the previous generation Sonata Hybrid, the new car will offer more space. Hyundai will showcase the vehicle at the upcoming 2015 North American International Auto Show (Detroit Auto Show) while its launch in other markets is yet to be announced. The Korean car maker aspires to be in the top eco-friendly automotive manufacturers by the year 2020, and plans to include new such products under its 'Blue Drive' sub brand.